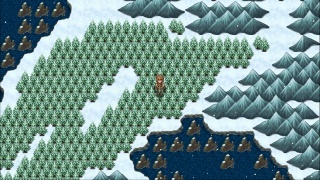 Developed by Kemco Games and published by Natsume Inc in North America Alphadia Genesis is a JRPG that combines SNES era elements with some modern elements thrown in and features a fully 3-D battle system, but are these features enough to give this game an edge over its competition? Keep reading to find out! Alphadia Genesis' story is part medieval fantasy and part sci-fi and involves the typical ragtag group of characters that must work together to prevent a rebellion, but it later becomes a journey to save the entire world! While we can't get much into the details without spoiling the story, we can say that the characters are unique and the development of the characters and relationships between them is presented flawlessly in this game! The gameplay is standard RPG fare with random battles, great storytelling, and alot of experience grinding "late game", but this game has almost perfected the classic formula to the point that it still feels like a fresh experience! The energy ring system is similar to the magic system in some of the Final Fantasy titles where your party members can essentially learn any magic in the game by equipping energi rings and battling while they're equipped! The game also has many sidequests and guild missions to tackle which adds many hours to the game for completionists! The only major complaint that we have with the game is that the difficulty is far too easy early on, but suddenly spikes to being a little too difficult after a certain point in the game. It's certainly not gamebreaking, but it is an issue nonetheless. 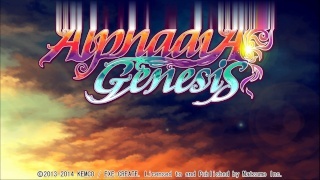 Alphadia Genesis also has a superb soundtrack that not only fits the game well, but also is very memorable! The Japanese voice acting "which is turned off by default" is quite a nice touch and those of you who are fans of the Sword Art Online anime series should instantly recognize the main character Fray's voice actor! The other sound effects in the game are decidedly retro, but work well with the game. As for the graphics the 2-D world map, towns, and dungeons look quite nice and will remind players of classic 16-bit RPG's and the anime-style character portraits during cut-scenes look gorgeous. The battles on the other hand are in 3-D and though the battle effects and character models are a little rough around the edges the overall feel will remind players of classic RPG's such as Wild Arms and certain Dreamcast RPG's! 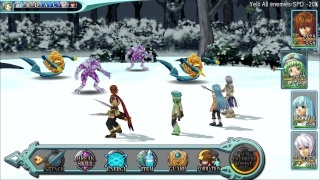 With a great story, excellent gameplay, superb soundtrack, and for the most part excellent graphics Alphadia Genesis is a game that any fan of the RPG genre should purchase, however issues with the difficulty curve and slightly unpolished visuals during battles prevent this game from receiving a perfect score. Regardless we still highly recommend downloading this game! Sorry for the delay, but the review is now live. The score seems a bit high, but it's definitely the best Wii U eshop RPG that isn't a Virtual Console release. Awesome review man! Now hopefully this game will be released in my region soon! @Ragnarok wrote: The score seems a bit high, but it's definitely the best Wii U eshop RPG that isn't a Virtual Console release. Agreed I'd give this an 8/10, but it's still a great game! Great review, Megatron would approve! I love Alphadia Genesis it such nice game. This review is really popular lol. I would buy this in an instant if only it was available in my region. Awesome review @Ichigofan! Wii need more rpg's on the U. That one's probably the record holder for being on my eShop wishlist. I still haven't gotten around buying this game. When this game launched early 2015 my RPG time was already filled with Hyrule Warriors, then Citizens of Earth, then EarthBound Beginnings, and of course finally, Xenoblade Chronicles X.. had not enough time for more. Of course a sale will sway me over easily (NA had one already). This seems to be a solid port of Kemco's most succesful new RPG series, and with content/length/quality of a full SNES/PS1 RPG. The 15 bucks are probably worth it I think. Nice review. This recently released on PS3 as well. @Kain the review for the PS3 version of the game went live early last month, I believe.